Tottenham’s new hip-hop and grime group Marvell have been kicking up quite a storm recently, especially in the underground scene. Their new track ‘London 2 Atlanta’ has already received the backing and radio plays from Radio 1 Xtra and has secured video slots on Kiss TV, MTV Base, AKA and Flava. With the world-renowned rock festival ready whack on the electricity in just 5 days time (8th-10th June), the organisers have officially announced the stage times of all the awesome bands that will grace the infamous ground of Donnington Park for Download’s 10th anniversary. Check out the timings below…. The Yorkshire-based band the Littlemores played a gig at the Dublin Castle in Camden and performed an exclusive session for us before. 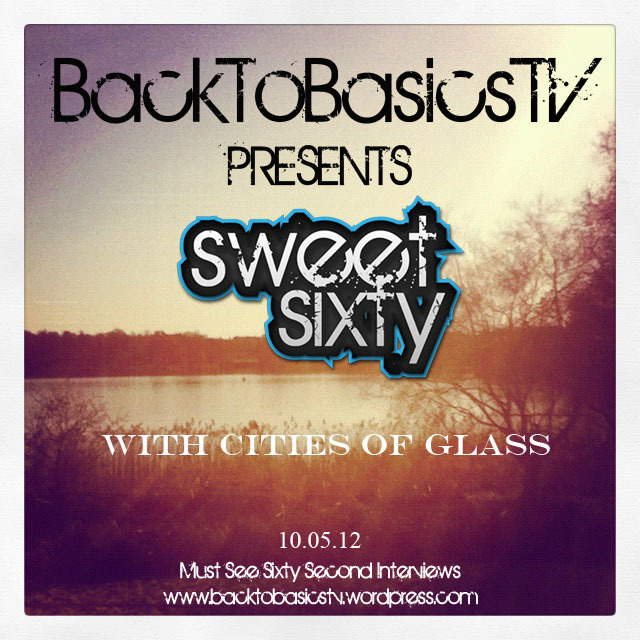 Sweet Sixty is the most fun sixty second interview known to mankind! We met up with the cheeky chappy Lewis Mokler and he played his original song ‘Nutella’ exclusively for BackToBasicsTV. His debut album ‘Fingertips’ is coming soon!